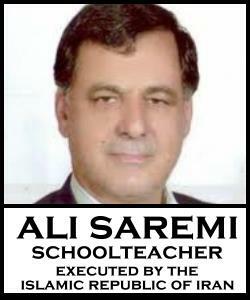 • And in protest at the outrageous execution of Ali Saremi and Ali Akbar Siadat who were executed by the Islamic murderers on December 28, 2010. The protests below have been organised by various political activists and organisations. The International Committee Against Execution (ICAE) calls upon all people to participate in these actions. Confirmed cities as at 30th December 2010; past protests for the week’s actions are listed below. 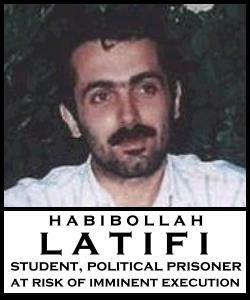 The International Committee against Executions is calling for a week of demonstrations, from December 27, 2010 to January 3, 2011, to protest against the execution sentence of Habibollah Latifi, and the arrest of his family members and all those arrested in the past few days in Sanandaj, Iran. We call on all honorable Iranian people and people all over the world: all those who believe in unconditional freedom of speech and belief; all those who believe in freedom for all political prisoners; all those who want revoking of Habib’s execution sentence and release of his family members and other Sanandaj detainees; and all those who protest against the Islamic Republic’s crimes, executions, and suppression; to protest with all of your power in Sanandaj, in Kurdistan, in Iran, and all over the world against these atrocities committed by the Islamic Republic of Iran against the people of Iran. Here is what you can do: Come out and demonstrate in different countries, sign petitions, send protest letters [for example, to your governmental representatives or the UN], gather in front of Sanandaj prison where they are holding Habibollah Latifi, write graffiti in the cities of Kurdistan and other cities of Iran, go on the rooftops at nighttime and shout, “FREE POLITICAL PRISONERS!”, and by all other possible means. Habib’s execution sentence should be overturned. Habib, his family members, and all Sanandaj detainees should be freed immediately and unconditionally. All execution sentences should be cancelled, and all political prisoners should be freed immediately and unconditionally.